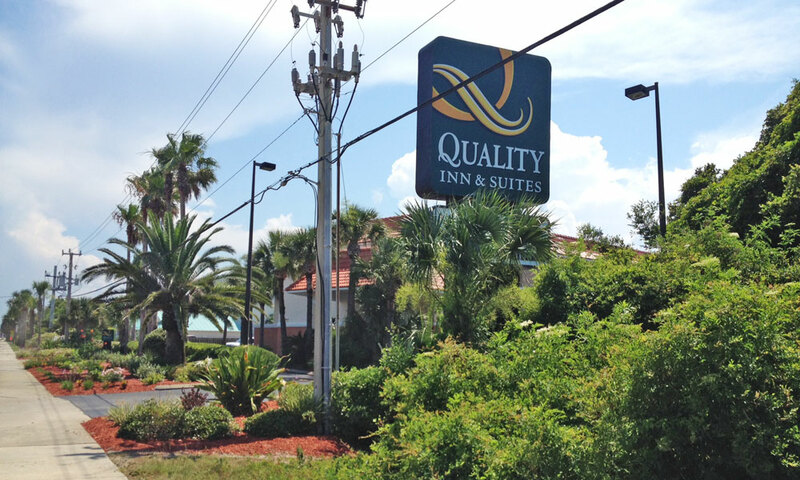 Quality Inn & Suites is a 70-room hotel directly across the street from the beach. This Saint Augustine Beach hotel features spacious guest rooms and suites with hydro-massage bathtubs. 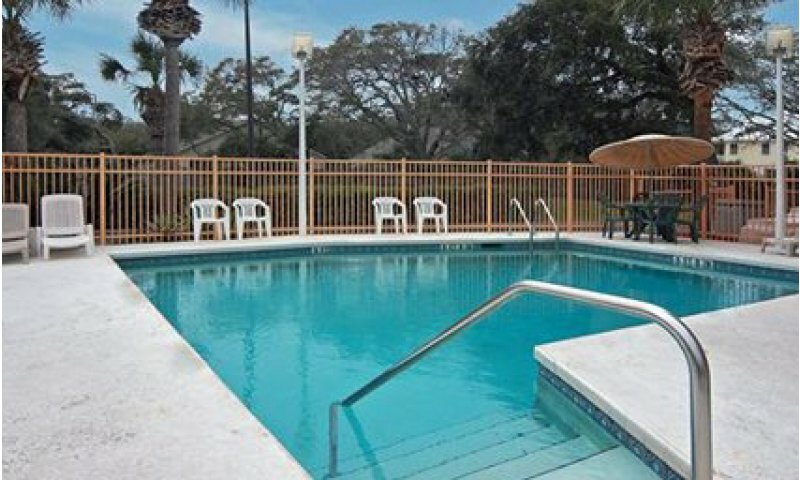 There is an outdoor pool and spa for guest's enjoyment when not sightseeing or at the beach. Every room includes a coffee maker, hair dryer, iron and ironing board. 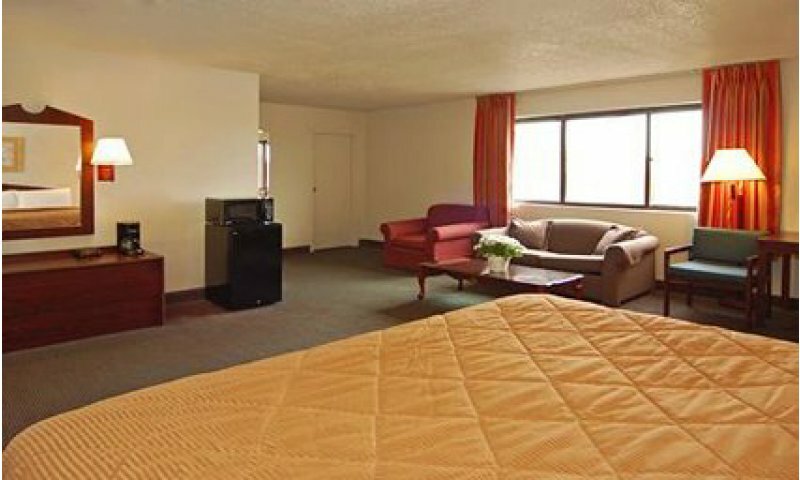 Refrigerators and microwaves are available in certain rooms, and are available upon request. Complimentary breakfast is served each morning in the lobby, and coffee is served all day. 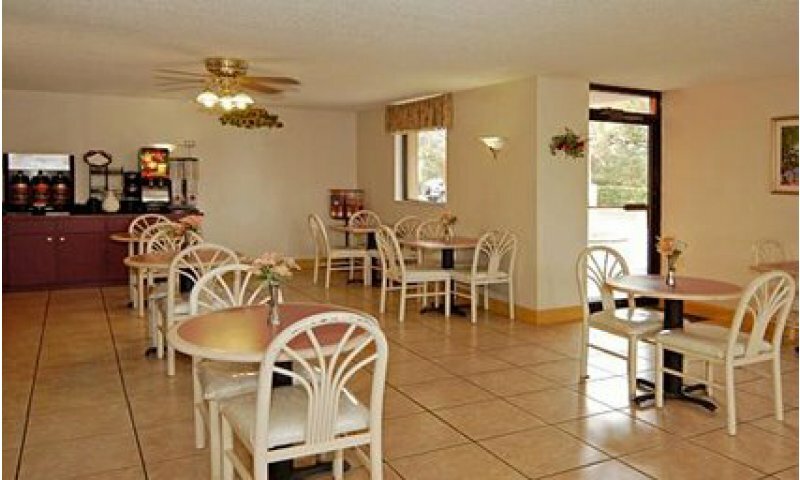 A laundry facility, gift shop and newsstand are conveniently located on the property. This is a pet friendly accommodation; a deposit is required for pets upon check-in. Group rates and reunion packages available at this hotel. Check in at 3 pm. Check out at 11 am. We have stayed there twice and each time it has been a great experience.The rooms have always been clean when we have walked in, We usually stay at least 2 days and when we go off for the day and come back our room has been cleaned, And fresh towels have been replaced. Also The free complimentary breakfast is very good with great hot coffee . We will be visiting back here next weekend for another 2 day stay and It's comforting to know I can plan a weekend get away and not worry about the place were staying. The Staff is great, the rooms are great and the price is right ,And it's only 15 minutes away from Beautiful down town St.Augustine.